TRACKS: Sing Hallelujah, Sweet Water Rolling, Funk, Blue Mountain Lake, Tamborito, Uncle Benny's Celebration, Wake Up Dunia, Die Gedanken Sind Frei, To Everything There Is a Season (Turn! Turn! Turn! ), Reedy River, Those Were the Days, and The Minstrel Boy. There's Many a River, The Best ls Yet to Come, Cashinha Pequenina (Little House), Last Class Seaman, The Wild Colonial Boy, Remember Me (When the Candelights Are Gleaming), Minneapolis - St. Paul, Willow Tree, Why Don't You Come Home, La Llorona, Bring Me a Rose, No Man ls an lsland. Tani, The Lady Bullfighter, Port Au Prince, Inspection Time, Johnny Todd, When I Was a Cowboy (Cow Cow Yicky Yicky Yea), Sportin' Bachelors, My Love Doth Walk the Picket Line, A Man Leaves Home in the Mornin', Spanish Lady, The 8th Day of the Week, When Love Is New (C'est L'Aviron). Sing Out! - Jehosophat, Everywhere I Look This Mornin', Pretty Far Out, The Lion and the Lamb, Golden Bell, A Wayfaring Stranger, Charmin' Betsy, Gilgarry Mountain (Darlin' Sportin' Jenny), Marvin, The Little Land, Joy Across the Land, and Gotta Travel On. 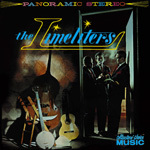 The Slightly Fabulous Limeliters - Western Wind, Medley: Hard Travelin' and Mount Zion, Lass from the Low Country, Gunslinger, Curimao, Vikki Dougan, Aravan Aravan, Whistling Gypsy, The Time of Man, Harry Pollitt, Hard Ain't it Hard, and Mama Don't 'Low. 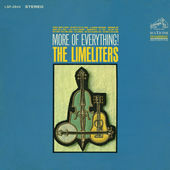 The Limeliters Reunion - Volume 1 - These two volume "Limeliters Reunion" album (not to be confused with the album "Reunion" although there is some overlap), features many of the same songs found on other albums, but has a more extensive cut of Lou Gottlieb's comedic introductions. Through Children's Eyes - Live Recording of at the Berkeley Community Theater, Berkeley, California, on the afternoon of December 29, 1961. 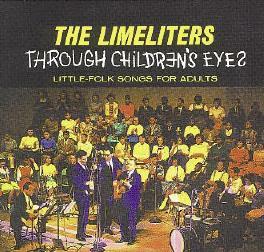 A benefit for the Music Department of the Berkeley school system, this album features the irresistable appeal of children's voices combined with The Limeliters! 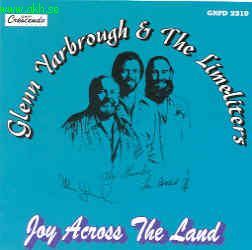 Includes: This Train, Marty Hey Jimmy Joe John Jack, The Whale, Grace Darling, Morningtown Ride, Join Into The Game, I Had A Mule, Lollipop Tree, Run Little Donkey, The Riddle Song, Stay On The Sunny Side, B-A Bay, America The Beautiful, This Land Is Your Land. A Dollar Down, When Twice The Moon Has Come And Gone, A Hundred Years, Paco Peco, Red Roses And White Wine, Milk And Honey, Just An Honest Mistake, Jonah, I Had A Mule, The Riddle Song, Who Will Buy?, Funk, McLintock's Theme (Love In The Country), The Midnight Special, A Casinha-Pequenina, No Man Is An Island, Rose, Seventeen Wives. Two Classic Albums: Our Men in San Francisco and The London Concert - Collector's Choice Music (BMG distributing) has re-released these two classic albums on compact disk. Disc One: The Wabash Cannonball, Max Goolis, I'm Goin' Back, Corn Whiskey, Civil War Medley (Bright Golden Butttons, The First Battallion, Yes I see, Two Brothers), By the Risin' of the Moon, Yerakina, The Lute Player, The Jam on Jerry's Rock, Sleep Soft, Medley: Goodnight Ladies/Leaving a Song. Shine On Me, John Henry, Vasectomy, Maleguena Salerosa, That's Just The Way It Goes, Harmony, Irish Medley: Odonnell A Boo By The Risin' Of The Moon Danny Boy Whiskey In The Jar, Circles, That's How I Remember Yesterday, South Bound Passenger Train, Streamlined Cannonball, Hard Travelin' Mount Zion, Wayfarin' Stranger, Lonesome Traveler, Hard Way To Make An Easy Living, Beautiful Fantasy, Million A Day, A Hundred Men Last Night I Had The Strangest Dream, America The Beautiful, This Land Is Your Land. Singing for the Fun, Forever Young, Country Medley Oops#1, Champagne for Breakfast, God's Gift to Women, Don't Turn Me on, Vikki Dougan, What Have They Got That I haven't Got?, Begin the Beguine, High Standard of Loving Oops#2, Fill My life, Take the "L" Out of Lover, Different Ways, Angeline, Zen Gospel Singing, She, One Family, Why Don't we Join Hands?, White Squall, We're Here to Love. Generic Uptempo Folk Song, Folk Rap, Global Carnival, Harmony , Columbus Stockade Blues, Gods Gift to Women, Use it Up, Zen Gospel Singing, White Squall, The 40 Year Old Waltz, Until We Get It Right, A Better World, A Place in the Choir, The Power and the Glory, The Strangest Dream, Circle. Folk Medley (Hard Traveling, Mount Zion, Wayfaring Stranger, Lonesome Traveler), Generic Uptempo Folk Song, There's A Meeting Here Tonight, John Henry, Things Go Better With Coke, City of New Orleans, Harmony, Irish Medley (O'Donnell Aboo, The Rising Of The Moon, Danny Boy, Whiskey In The Jar), Gari, Gari (Burn, Burn, Gypsy Love), Power and Glory, The Strangest Dream, America The Beautiful / This Land Is Your Land, Circle. Right From The Start, Power and the Glory, Those Crazy Days, Zhankoye, Rock Me Grandpa, There's a Meetin' Here Tonight, Puerto Vallarta, That's My Toy, Mwa Uka, Cutting Edge of Passe' , Harry Pollitt, 40 Year Old Waltz, Have Some Madeira M'dear, Stewball. - Last four tracks are live, and include Alex Hassilev on guitar, banjo and bass vocals. 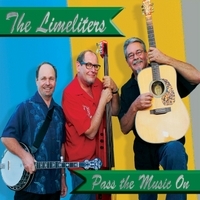 Buy The Limeliters' latest album Pass the Music On via cdbaby.com. We the People - A Bicentennial Celebration of the U.S. Constitution (1987, remastered 2003) - Recorded to honor the bicentennial of our Constitution, this 1987 LP features narration by Johnny Cash. 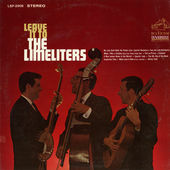 The Limeliters perform two songs on this album: "The Power and the Glory" and "America the Beautiful." Also appearing are Kingston Trio (The Sinking of the Reuben James ), Mickey Newbury ( American Trilogy ), Bob Gibson ( Let the Band Play Dixie ), John Stewart (The Last Campaign, Armstrong), The Shaw Brothers (We the People, The Immigrant, The Day the Tall Ships Came, Lady of the Harbor), The Tarriers (Drill Ye Tarriers, Drill) and four songs by Johnny Cash: Battle of New Orleans, Remember the Alamo, The Ballad of Ira Hayes, Ragged Old Flag). - Includes three songs from The Limeliters - ("Lonesome Traveler, The 40-Year Old Waltz", and "Until we Get it Right" as well as Lou Gottlieb's comedic introductions. includes "A Dollar Down" (Vol. 1), and "There's a Meetin Here Tonight" (Vol. 2). The Kingston Trio 45th Anniversary Tribute CD, Video and DVD , containing highlights of the April 19 & 20, 2002 Tribute to the Kingston Trio includes 10 minutes of the Limeliters.sss It includes the "Hard Traveling/Wayfaring Stranger/Lonesome Traveler" medley and Generic Uptempo Folksong. "This Land is Your Land - The Folk Rock Years" PBS special taped in May 2002. 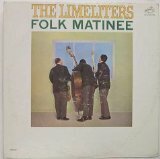 On the video or CD, currently available only as part of a pledge to your local PBS satation, the Limeliters sing "There's a Meeting Here tonight" in combination with Glenn Yarbrough, and "Generic Uptempo Folksong" on their own. They also perform their infamous "Folk Rap" on the companion CD.